Tax Today are regarded as Australia’s biggest and best Tax Agents. We are the Instant Tax Refund specialists, where you can get your Tax Refund on the Spot. We are the originals and the best. We can also help with all your small business needs, from bookkeeping to BAS and Financials. Tax Refunds on the Spot can be paid as a cashable cheque or direct to your bank account. Tax Today Goodna is located at Shop 10, 5-17 Smiths Rd Goodna (Opposite Red Rooster) QLD 4300 and is just behind Hungry Jacks. Paddy and the team are experts in Rapid Tax Refunds! Tax Return is prepared by an Qualified & Experienced Tax Preparer to get you Maximum Refund. No other Tax Agent can offer services like this. So give us a call today on (07) 3288 1120 or email our office. 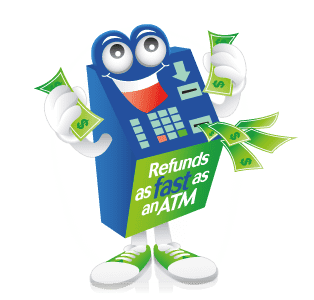 Just complete our online form with “Goodna” as your preferred branch, and we can usually advance the refund within 3-5 business days.